The Paleo Diet is a hot topic right now! 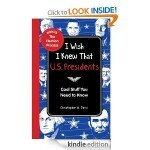 If you’ve been wanting to try it out, but don’t feel like it fits with your budget, check out today’s Kindle Freebie! 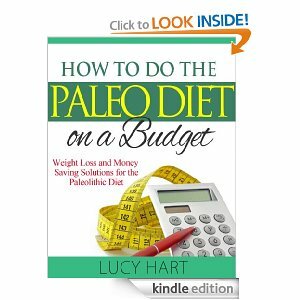 Get How to Do the Paleo Diet on a Budget FREE for Kindle today! 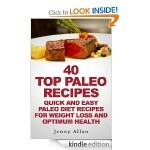 40 Top Paleo Recipes – FREE! 100 More Easy Recipes in Jars – FREE! Good Eating’s Creative Pasta – FREE! 40 Top Quinoa Recipes for Weight Loss – FREE! 40 Green Smoothie Recipes for Weight Loss and Detox – FREE! 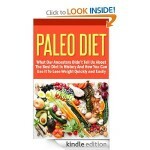 Paleo Diet FREE for Kindle! 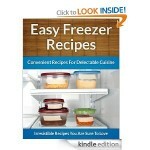 Easy Freezer Recipes FREE for Kindle! 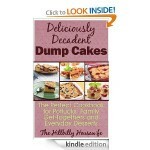 40 Top Paleo Recipes FREE for Kindle! 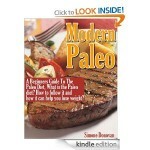 Modern Paleo: A Beginner’s Guide to the Paleo Diet FREE for Kindle!